With the grace of Omnipresent the renovation work is going on. 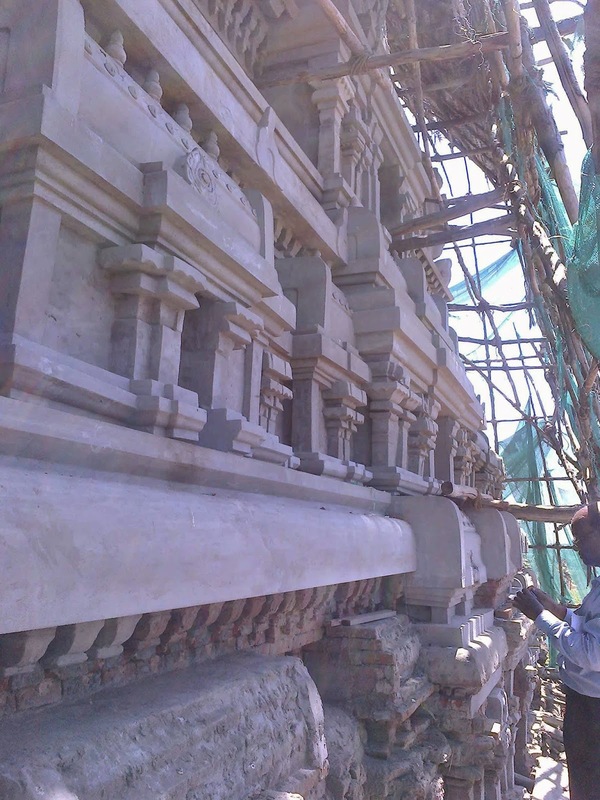 The HR&CE has taken up the renovation of the UNJAL Mandapam. I will post some more pictures later.